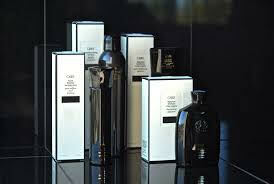 Combining more than 35 years of styling heritage with old world craftsmanship and cutting edge innovation, the Oribe line delivers the highest possible levels of performance and sophistication with truly original formulations, gels that condition, oils that hold, sprays that don't flake or clump, skin care grade shampoos that prep hair for styling while protecting it from the environment, all lightly scented with a specially commissioned French fragrance named Cote De Azur. Born from the same philosophy as skincare, KM products are weightlessly designed to deliver performance, strength and longevity. All the ingredients are from companies that use micro cultivation, organic growing practices, or ecologically sound wild harvesting techniques to ensure the KM range is of the very highest natural quality. Vitamins and amino acids repair the outer surface of the hair, thickening the hair and reducing the formation of split ends. 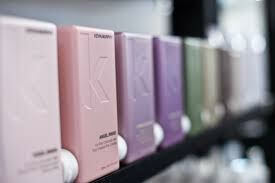 The secret of every outstanding color, cut and styling is professional care products that compliment your service. That’s how you achieve stunning results and make you fall in love with your hair again. Because along with the perfect take home products, healthy, shiny hair is the best advertising you will carry out of our salon. Because you deserve it! Paul Mitchell revolutionized the art of hairdressing with his creative eye and unparalleled talent. He was the visionary behind the art of hair sculpting, he liberated women from hair rollers and he took the industry by storm with the introduction of hair products featuring Hawaiian awapuhi ginger. 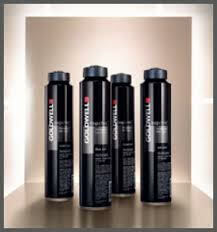 Paul Mitchell products are one of the most recognizable brands today.